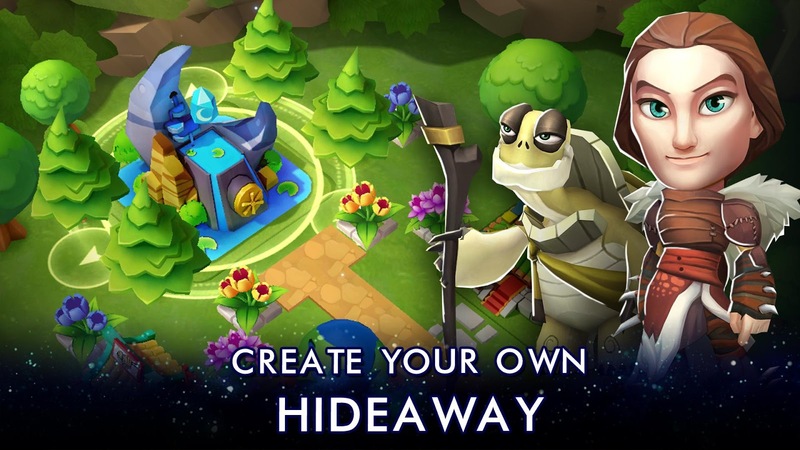 Firefly Games Inc. has released DreamWorks Universe of Legends. 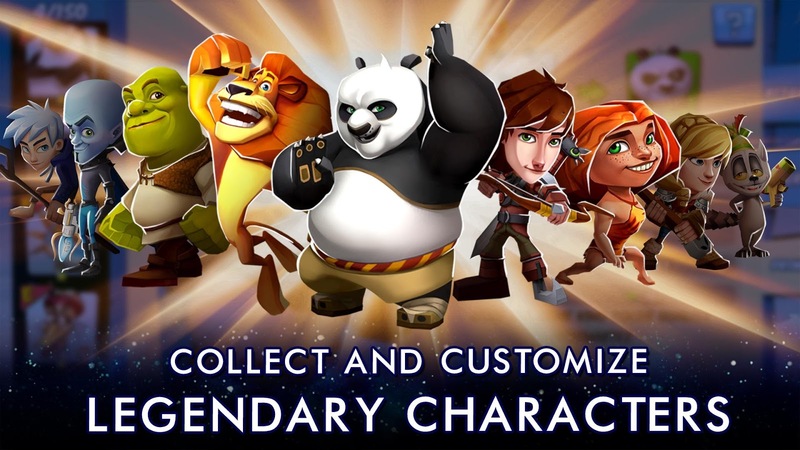 At its core, it is yet another lazy hero collection game starring many of the famous characters found in DreamWorks Animation's films, with a few base-building aspects thrown into the mix to round the whole thing out. Of course, a hero collection game wouldn't be complete without simplistic battles that require little to no input from the user. 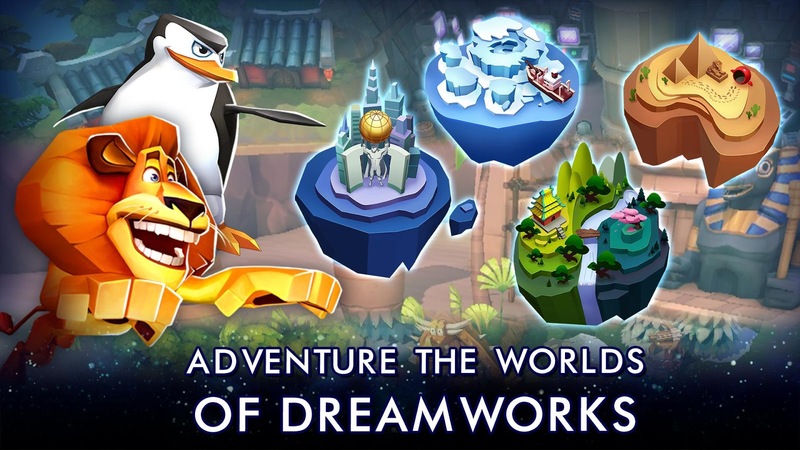 Sadly this is all par for the course in a game filled with in-app purchases that are squarely targeted at children, though I suppose Dreamworks doesn't care where the money comes from as long as it keeps filling their coffers. 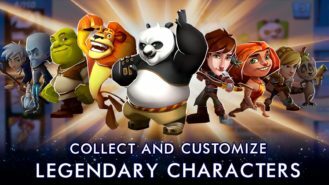 From the outset, DreamWorks Universe of Legends may look like a polished turd, but the truth is the developers couldn't even bother to do that. One of the first things I noticed is that almost all of the game's transitions are super glitchy. Any time you complete a level, there are a few seconds left in the stage that allow you to move around. Then without notice, you are taken out of the gameplay to have your team displayed in a different part of the level as they celebrate the win. While this may not sound that bad, in practice it is very jarring and in my opinion, shows a lack of polish that clearly illustrates that the devs don't care if the game plays smoothly. The laggy framerate is also proof of that. And frankly, why would they care? It's so much easier to create a buggy cut and paste experience that skins a famous children's property on top just to capitalize on the fact that the majority of players won't know any better thanks to the inclusion of an auto-play feature, which is sadly only the start of the problems here. Another point of contention has to do with the vast amount of in-app purchases that range up to $99.99 per item, multiple currencies, gacha draws, and a stamina system. 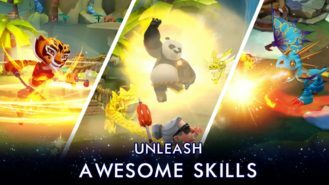 All of these are designed to push the player towards spending real money to either gamble on unlocking new heroes or removing many of the title's false roadblocks. For a game that features a child-centric theme, I find it pretty distasteful that DreamWorks is purposefully inundating children with gambling mechanics designed to take advantage of their poorly developed impulse control. 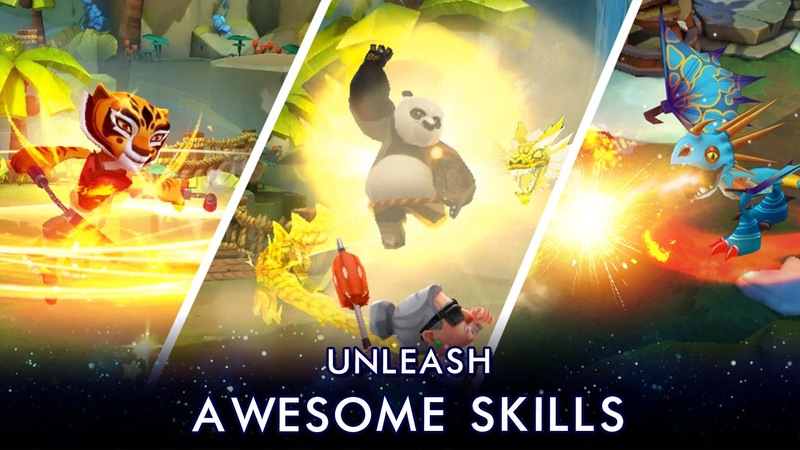 As for the gameplay itself, you can expect your usual auto-play feature where your team of heroes guide themselves through the game's endlessly dull levels while attacking any enemies that cross their path. Sure you get to tap on the screen every once in a while to pull off a special move, but that's about it. You do this to earn coins that can be used to upgrade your characters, or purchase gacha draws that unlock new heroes. Of course, you won't be able to unlock the best heroes through this method as you will have to use real money to purchase a secondary in-game currency for a chance at the rarer ones. When you are not watching the game play itself, you will spend the rest of your time on your home base's screen. This base can be upgraded with new buildings that help you to train your heroes, among other things. You can also dive into the menu system to upgrade equipment, edit your team, or dig into the many decorations you can purchase for your base. One positive feature I found is the fact that Google Play Games Services is supported with the inclusion of cloud save support. 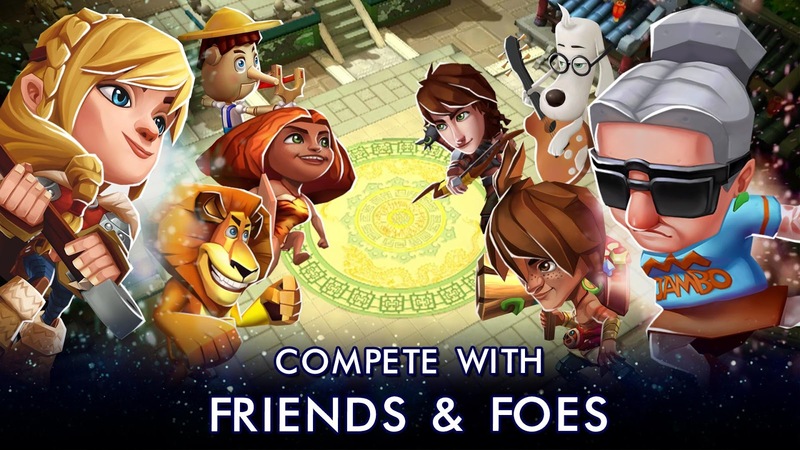 If you find you play your mobile games across different operating systems, there is even a Facebook login that will save your game's progress so you can pick up where you left off on an iOS device. And that's really all there is to see here. 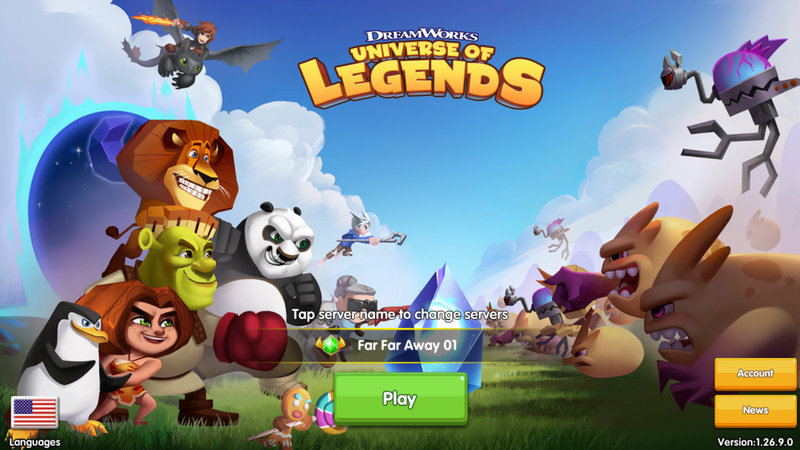 DreamWorks Universe of Legends is a poor excuse of a game and an obvious cash-grab that takes advantage of many popular children-focused franchises. No skill is required to play this release whatsoever. And sure you can try to go through the motions for free, but what is the point, to endlessly grind for a chance to unlock yet another hero? How much longer can these lazy developers continue this tired trend? There are so many games out there that take pride in releasing worthwhile products that contain actual gameplay and aren't designed from the ground up to rip off kids. I honestly see little reason for anyone to ever spend time on garbage like this just because it uses a famous license.